College Football SZN is in effect. College football season is here and week 1 did not disappoint. There were upsets, comebacks, injuries, and just overall outstanding performances, even a potential top catch of the year. With so many eye-opening performances, it’s hard to imagine how it will all end. Most of the names above you may not even recognize, because until this season they were never on the national radar, but some have always managed to be in the limelight. Josh Rosen has made headlines before, but mainly off the field, for having a Jacuzzi in his dorm room. Lamar Jackson should be the most well known as the reigning Heisman winner, but the other three players are relative unknowns. 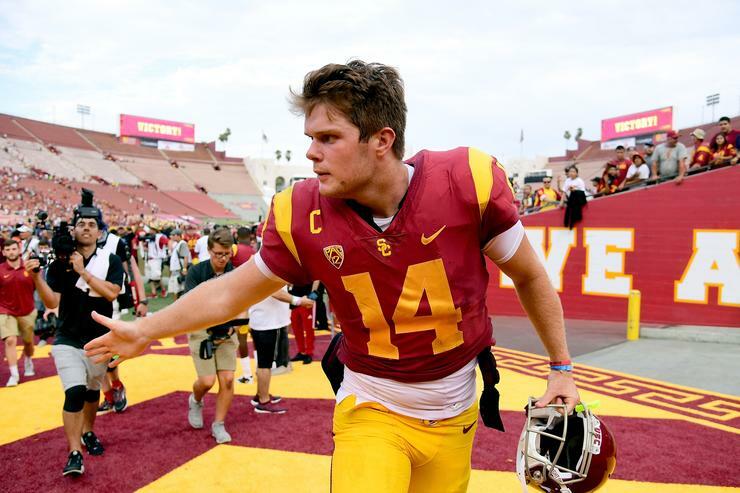 But even so, many experts have voted Sam Darnold the projected #1 overall pick in the 2018 NFL Draft, even though this will be the first season he will step onto the field as the opening day starter. Josh Allen enters his junior season after completing 56% of his passes the prior year against low level talent in the Mountain West Conference. He may be listed as the third best quarterback, but if he continues that trend, his stock will quickly drop.Both quarterbacks have a lot to prove this season, but it’s also the perfect opportunity for them. With a range of talent between the top five players listed above and week one now in the books, let’s take a look at which quarterbacks had news-worthy performances. As we watch week-to-week, the race for the #1 pick will gain steam as tanking NFL teams send their scouts to search for their quarterback in waiting. And since a few teams are in absolute need of a franchise quarterback, every game will count for these young players. They will be scrutinized for the most minuscule of tendencies, and that begins right now. In the preseason, he made headlines for his comments that “football and school don’t go together,” but with a 34 point come from behind win, all of that is long forgotten as tanking teams will remember this game when they make their selection in the 2018 NFL draft. This game could have very well gone the other way and instead of looking like a hero, Rosen very much would have looked like a guy that needed to stay out of the headlines and focus on his on-field performance. 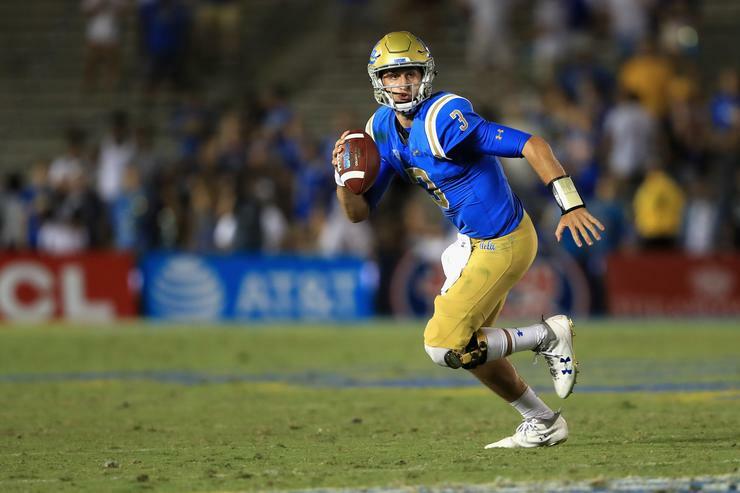 But as fate would have it, Rosen can’t help but find his name front and center as he led one of the biggest comebacks in NCAA football history. He’s one step closer to making an NFL team. 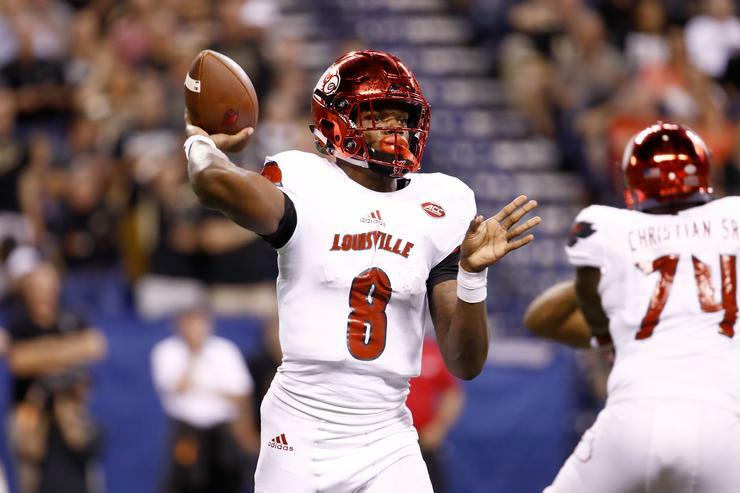 Though he may not have had a headline winning game like Rosen, Lamar Jackson did his usual damage by throwing for 2 touchdowns, 378 yards, and rushing for another 107. The reigning Heisman winner may not be listed as the top pick for some analysts, but if the opening week is any indication of how the season will look, we can expect the #1 pick to be anybody’s game, and Lamar is definitely in the running. He showed his Heisman numbers weren’t a fluke and he can consistently play at an elite level. As the season progresses and he faces tougher competition, he should be able to pull away in the race for top quarterback. With the first game of the season, Darnold definitely made a statement by throwing 2 interceptions, no touchdowns. Just days before the season started, he was expected by some to be the #1 overall draft pick, and now teams will be paying more careful attention to whether he’s worthy of the claim. Given that he was never the day 1 starter in his entire collegiate career, every game this season counts as he puts his talents on display for every NFL team to critique and criticize. Though his team won their season opener, it was attributed to the team’s rushing attack. In fact, the game was dead even until the fourth quarter. Darnold’s skills will be tested and something to pay attention to as he faces tougher competition. His opponent in week 1 was an inferior team, and they still managed to pick him off twice. This game could be a sign of things to come or just a fluke; only time will tell. Josh Allen is another quarterback that suffered from a poor outing. 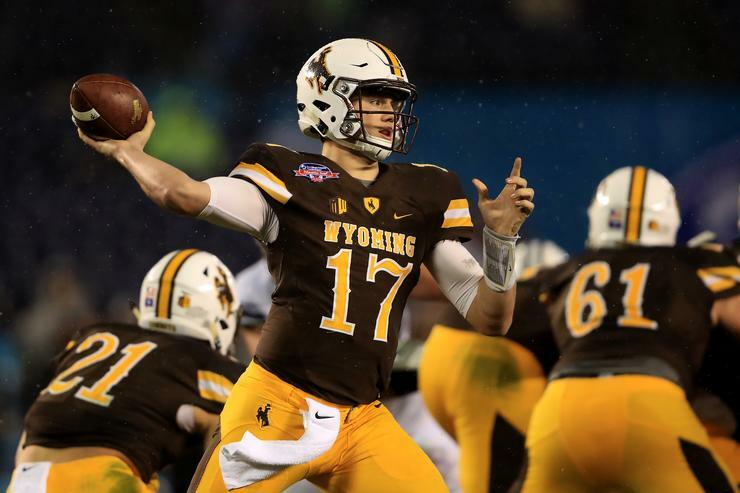 ESPN’s Mel Kiper listed him as the #2 overall best player on his pre-draft rankings, but with a final score of 24-3, Josh Allen is not living up to expectations of playing on the big stage. To add injury to insult, Allen suffered an injury to his shoulder in the embarrassing loss. Allen completed less than 58% of his passes and threw for less than 200 yards, all without throwing a single touchdown pass. He did, however, manage to throw twice to the other team. Though Wyoming team isn’t ranked, it helps in the fact that he won’t be penalized too much for his team’s record; they’re not a powerhouse and aren’t expected to achieve much, but if he continues to suffer as an individual, NFL teams will notice and steer clear. He has another chance to redeem himself in week 3 against Oregon, a program that’s made a name for itself, and will garner him headlines if he displays a good showing against them. However, if he suffers another critical performance against a top ranked team, his chances of being a high draft pick will quickly tarnish. 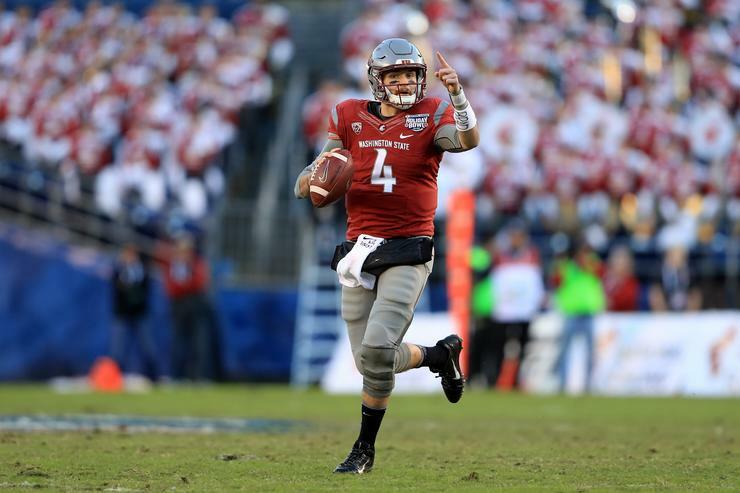 Last but not least is Luke Falk who did nothing to entice NFL teams. In fact, his performance might have hurt him because it was forgettable. While his four colleagues were able to capture a scout’s attention, he remains the fifth wheel. The only thing worse than performing poorly is not being remembered. It’s something Luke has gotten accustomed to as he plays for a team that isn’t known for producing quality talent or even playing against it. Most probably don’t even realize that by throwing those three touchdowns, Falk set a school record for passing touchdowns; he’s now the all-time leader. It goes without saying, small school, small feat. Luke wasn’t able to make a statement to NFL teams, he only allowed them to remember the ones still in the running. Many of the quarterbacks on this list weren’t previously talked about in the prior season, but quickly skyrocketed to the top of the ranking boards as a result of the lack of talent depth at the position. With such an interesting first week, a few of these quarterbacks were able to capitalize on the momentum switch and position themselves for a hefty payday when the season ends. It’s a long way ‘til draft night, but every game is another opportunity to steal the show. Let the games begin.